ONE OWNER!!! 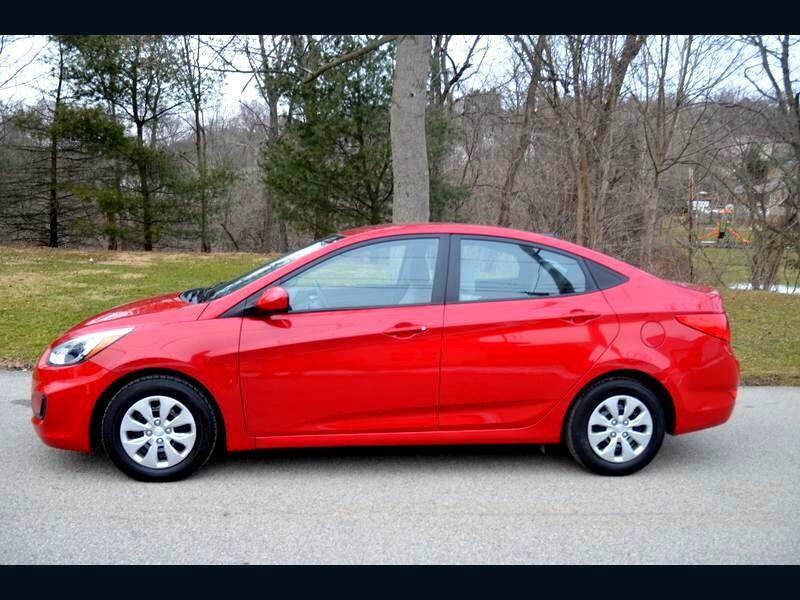 SUPER CLEAN ACCENT SE SEDAN WITH 5YR/60,000 MILE HYUNDAI WARRANTY, AUTOMATIC, ICE COLD AIR CONDITIONING, POWER WINDOWS AND LOCKS, KEYLESS ENTRY, AM/FM CD, SATELLITE RADIO, ANTI LOCK BRAKES, SIDE AIRBAGS, FRESH OIL AND FILTER CHANGE, NEW PA. INSPECTION AND MORE. SUPER NICE!!! There is a difference between our pre-owned vehicles and the typical used car lots vehicle. Our cars are hand picked, inspected by skilled technicians and professionally detailed! GOLICK MOTORS-PITCAIRN. SAME LOCATION SINCE 1935!